Indonesian island of Sulawesi can safely be called one of the most amazing parts of the world. Everything here is unique: the diversity of landscapes, rich cultural traditions and historical heritage. A welcome addition to that is friendly and welcoming attitude of the indigenous population. If you look at the island from a bird's eye, then it would resemble an orchid. 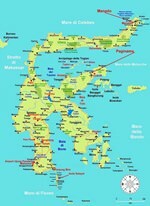 Its territory is divided into four provinces, each of which has its own interesting cultural and historical features. To learn about traditions of the local people Tana Toradja province is the best fit; it’s famous for its original rites. 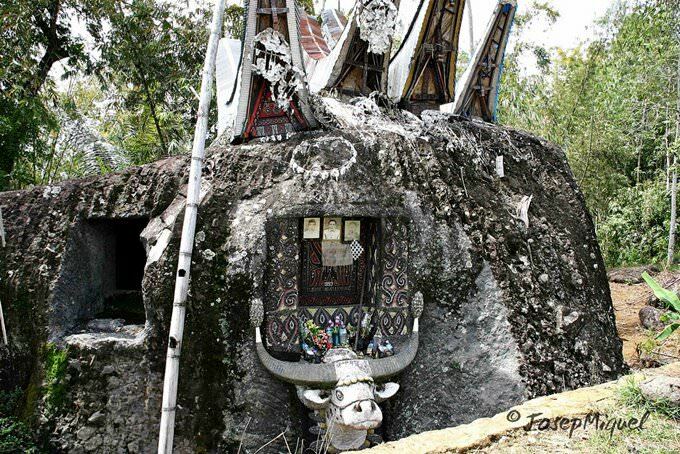 They have remained unchanged for hundreds of years, one of the most unusual funeral ceremonies has preserved there. Special caves for burial are gouged in the rocks; they are easily distinguished from the normal due to statues at the entrance. These caves are main objects of the tour around the province. Locals are happy to introduce their wonderful traditions to foreign guests. Original residential buildings that can be seen in any village of the province are of particular interest. Wooden houses with unusual raised roofs are placed on stilts, and the entrance to all the houses is always facing north. This luxury historic complex is surrounded with tropical forest with waterfalls, as you will see during excursion. In addition to natural attractions, you can admire priceless historical monuments and rock paintings made by the first inhabitants of the island. 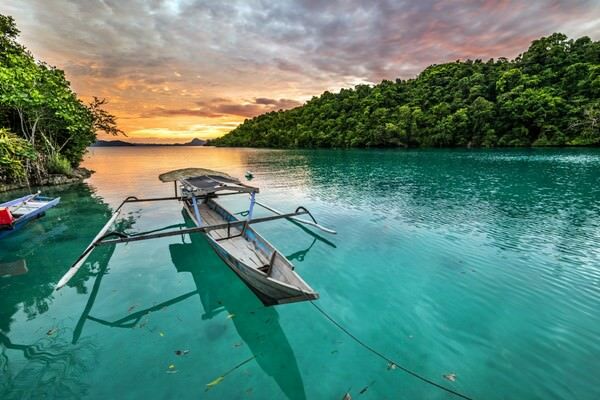 Fans of natural attractions are attracted by Manado Bay at Bunaken Island . These places are very popular among divers, as the Gulf is a storehouse of precious marine treasures, coral reefs. Unique tropical forests occupy the north of the island; those are home to rare species of birds and animals. Walking through these forests is only possible with a guide. Travelers who don’t feel enough of above mentioned attractions should go to the nearby uninhabited Buton Island. Its entire territory is considered a reserve; in addition to a huge variety of flora and fauna the island is notable in the frame of beach holidays. Gastronomic traditions of islanders are also unusual and unique. Travelers can order various unusual delicacies in different parts of the island. The national cuisine of Sulawesi Island is quite different from the traditional Indonesian cuisine. Local chefs often use pork and add various herbs and spices to meat dishes. Ragi is one of the most popular meat dishes on the island. These are small skewers that travelers will find in virtually any restaurant specializing in the national cuisine. Some national delicacies may look absolutely exotic and unusual for foreign guests. Just like in Korea, food with dog meat is quite widespread on Sulawesi. Experienced gourmets know that dog meat doesn’t taste much different from pork. Moreover, all meat dishes are traditionally very spicy and fragrant on the island. Kemiri nuts are also worth the attention of foodies. These nuts are widely used in desserts and are one of the key ingredients in the klappertart cake. Vegetarian guests will not stay hungry as well. They will like tinutuan that is present in the menus of the majority of local restaurants. This hearty porridge is cooked from rice, noodles, and pumpkin. Besides gastronomic delights, Sulawesi offers a fantastic entertainment program for fans of exploring new places on foot. 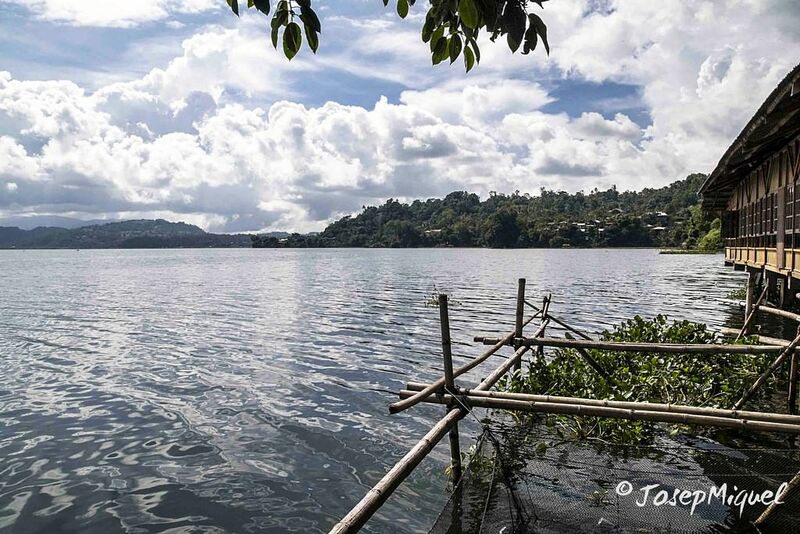 They will be able to explore the magnificently beautiful mountain region of the island and admire spectacular lakes surrounded by lush greenery or visit ancient caves that were used for ceremonial purposes for thousands of years. Finally, there is an interesting nature resort on the island that is called Buton. It is a fabulous place to see rare plants and fauna of this region. 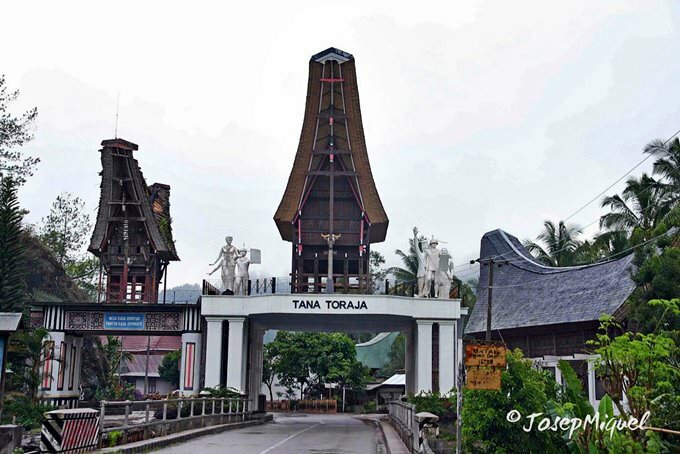 This guide to iconic landmarks and sights of Sulawesi Island is protected by the copyright law. You can re-publish this content with mandatory attribution: direct and active hyperlink to www.orangesmile.com. All about Sulawesi Island, Indonesia - sightseeings, attractions, touristic spots, architecture, history, culture and cuisine. Prepare your trip together with OrangeSmile.com - find out the 'must see' things in Sulawesi Island, which places to visit, which excursions to take, where the breathtaking views are waiting for you. Planning your trip with this travel guide will help your to get the most out of Sulawesi Island in few days.